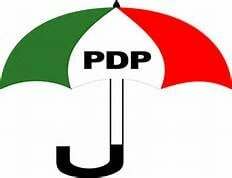 The Peoples Democratic Party says the call by a former Minister of Defence, Lt. Gen.Theophilus Danjuma(retd. ), that Nigerians should defend themselves against killers is a testimony of the tragic situation in the nation. Danjuma made the call during the maiden convocation of Taraba State University of Saturday. The PDP's spokesman, Kola Ologbondiyan,says Danjuma’s statement justifies its stand that the Buhari Presidency and the dysfunctional APC must be held responsible for Nigerian's agony. "Nigerians are no longer feeling secure in their land. Our country has, in close to three years, assumed a status of killing field where defenceless citizens are despoiled, raped and mowed by insurgents and marauders in Benue, Taraba, Yobe, Gombe, Kaduna, Adamawa, Borno, Plateau, Nasarawa, Rivers, Enugu, Kogi among other states. “Unfortunately, the Buhari-led APC federal government remains aloof and has failed to take decisive steps that will apprehend the masterminds of the carnage.